Whipseey and the Lost Atlus, the retro-inspired platformer from independent developer Daniel Ramirez, will officially be heading to Nintendo Switch in Q3 2019. Whipseey and the Lost Atlus is a 2D action platformer that follows the story of Drew, a boy who is transformed and transported to Wipseeyland by a magical book. Wielding nothing but a trusty pink whip, players must guide Whipseey (Drew) through a retro-inspired world, collecting magical orbs in an effort to help him return home. Whipseey’s whip isn’t just for whipping! It certainly hasn’t been plain sailing for Whipseey’s development. Originally conceived as “Whip Master” back in 2017, the game underwent re-branding in 2018 due to another developer stealing both the name and art assets to release an Android clone. The team also faced an issue with their backups becoming corrupted, forcing them to redo months worth of work. Despite the numerous setbacks, Whipseey and the Lost Atlus is almost set to whip its way onto Nintendo Switch. The game is currently scheduled to launch during Q3 2019, however, there has been no word on pricing as of yet. 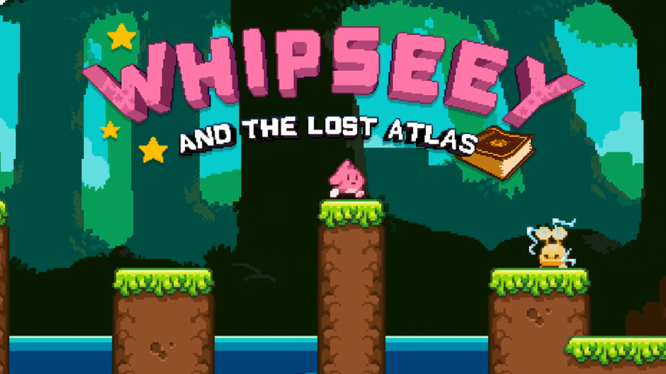 Whipseey and The Lost Atlas - Coming Soon!